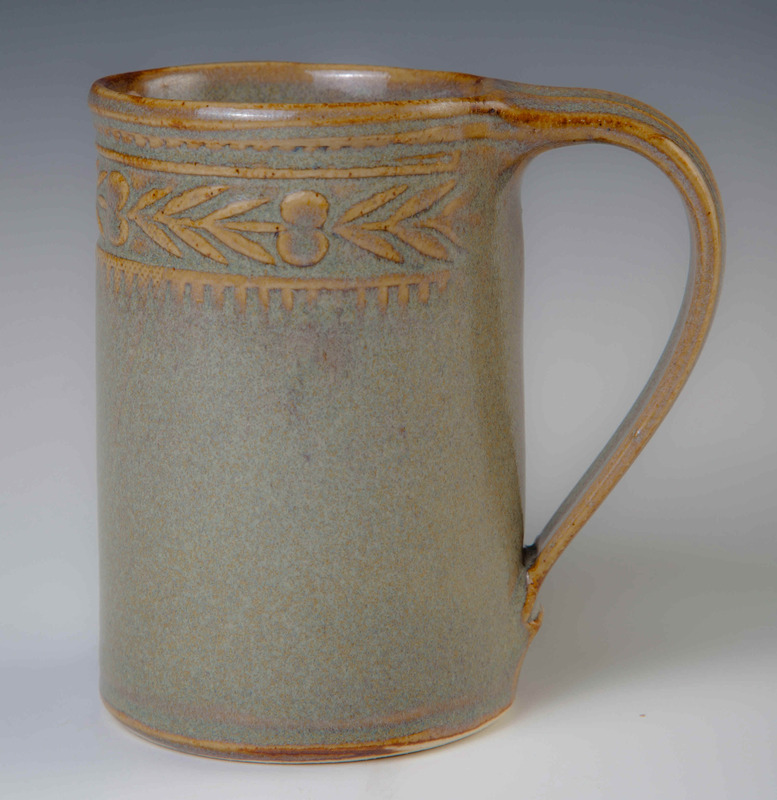 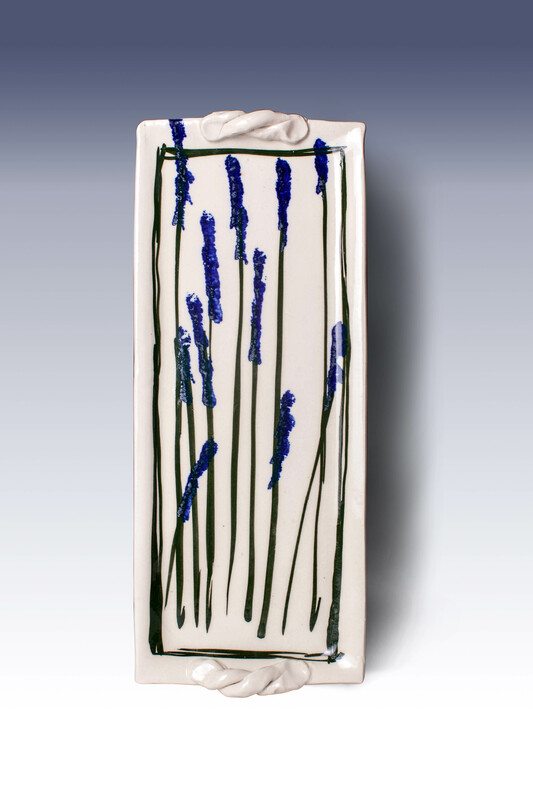 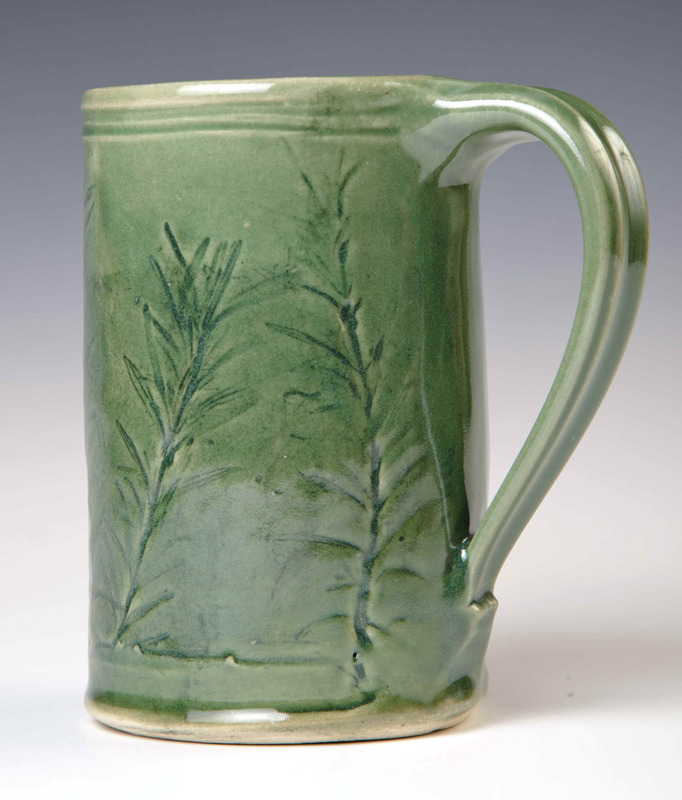 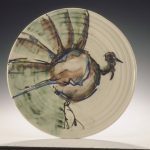 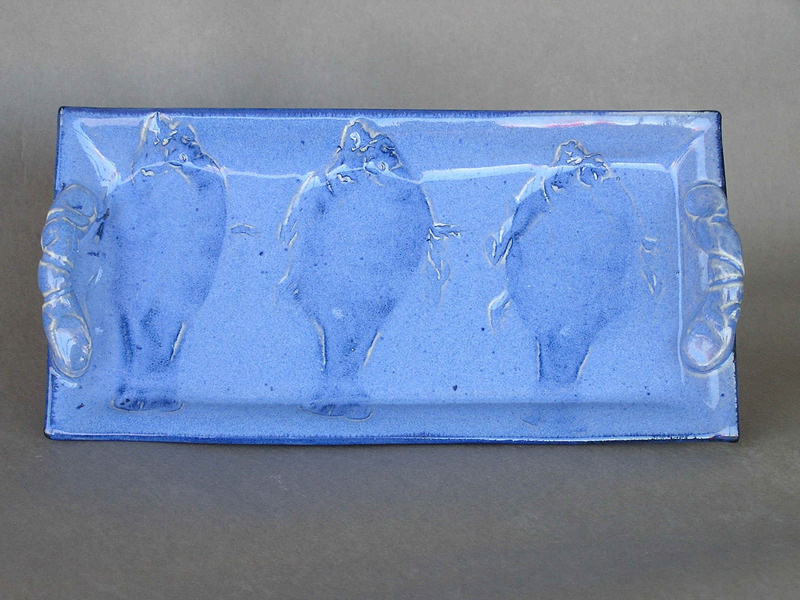 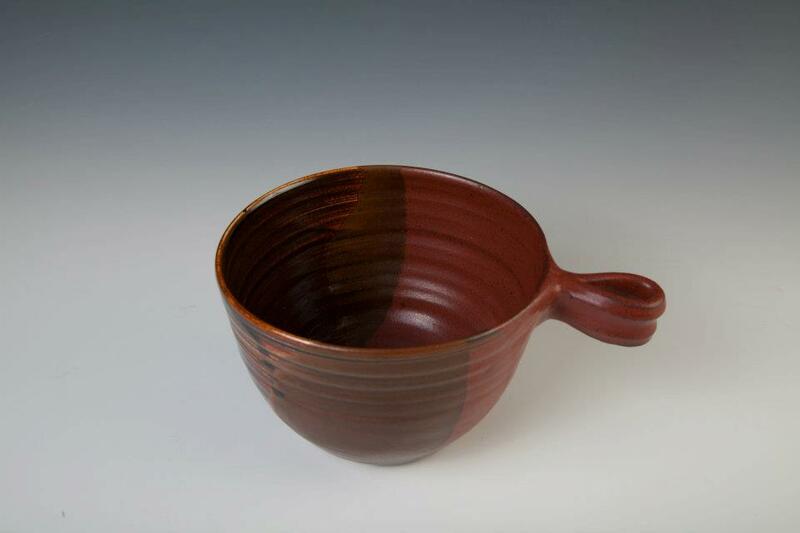 Holman Pottery is designed for everyday use. 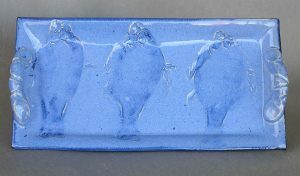 It is lead free and can be used in the microwave, dishwasher, and oven (avoid drastic temperature changes such as taking from the refrigerator to a hot oven). 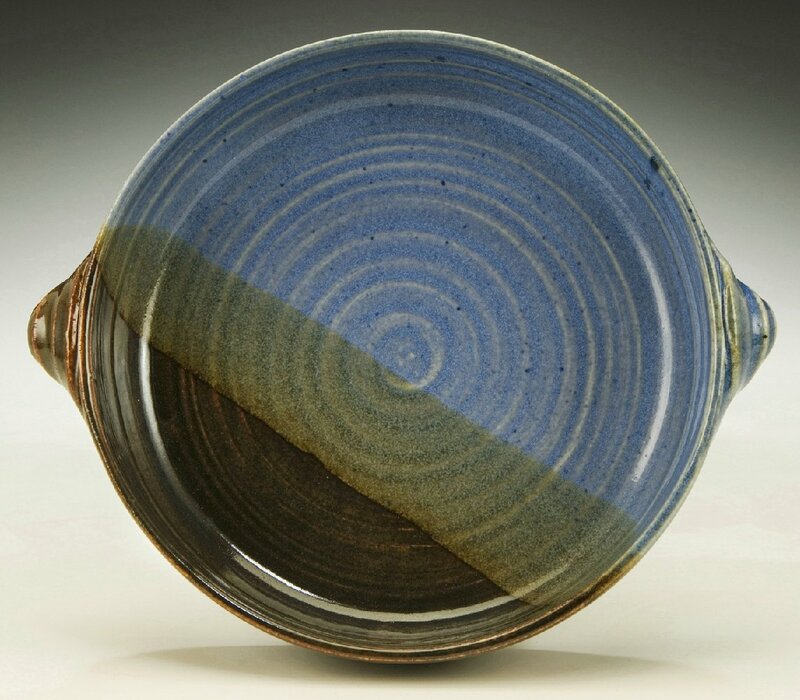 Functional pottery for everyday use. 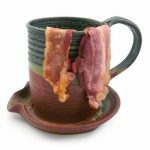 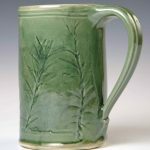 We make everything from mugs and wine glasses to pitchers, dinnerware sets, berry bowls, colanders, casseroles and more. 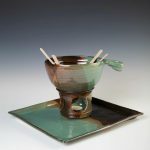 Many of our pieces come with recipes (see Epicurean section below), but all are made to be beautiful and functional in your home. All functional pottery comes in our Standard Designs (see below). 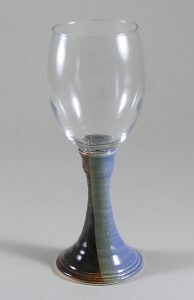 We do custom work, so please contact us or visit our studio and gallery if you are interested. 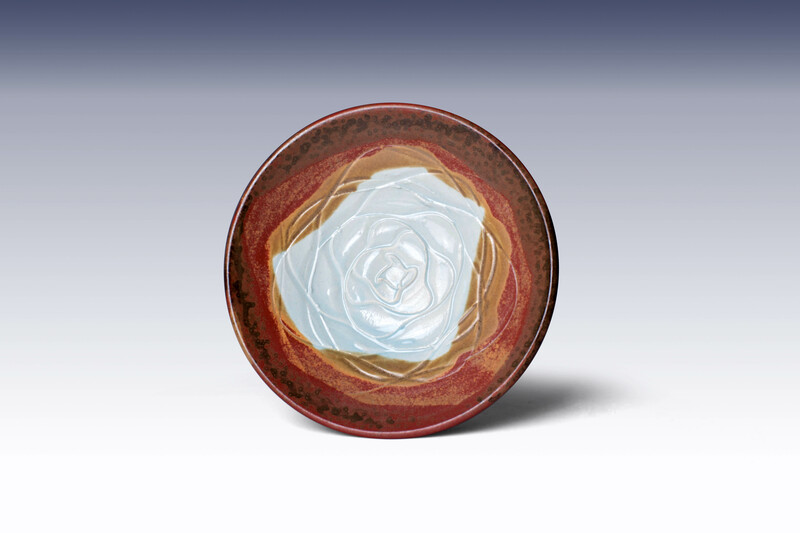 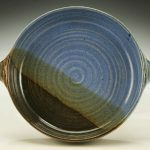 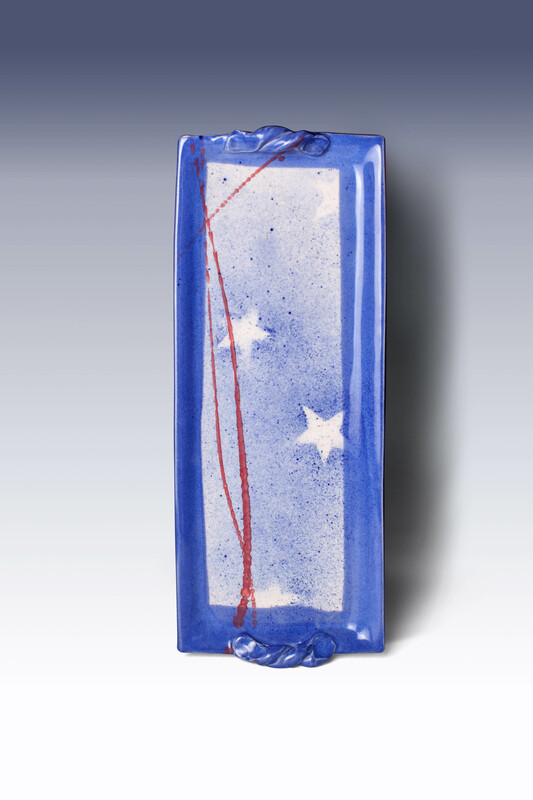 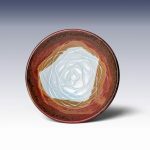 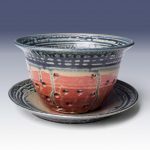 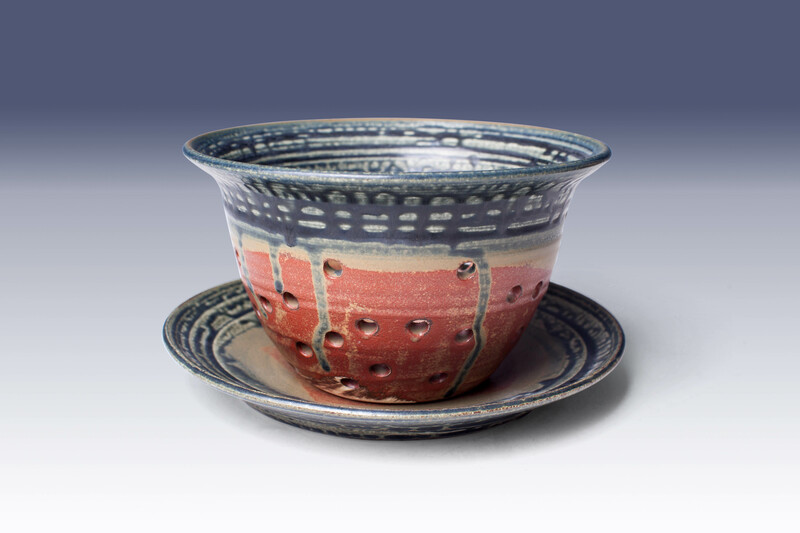 If you are trying to match any of our classic patterns, send us an email at info@holmanpottery.com. 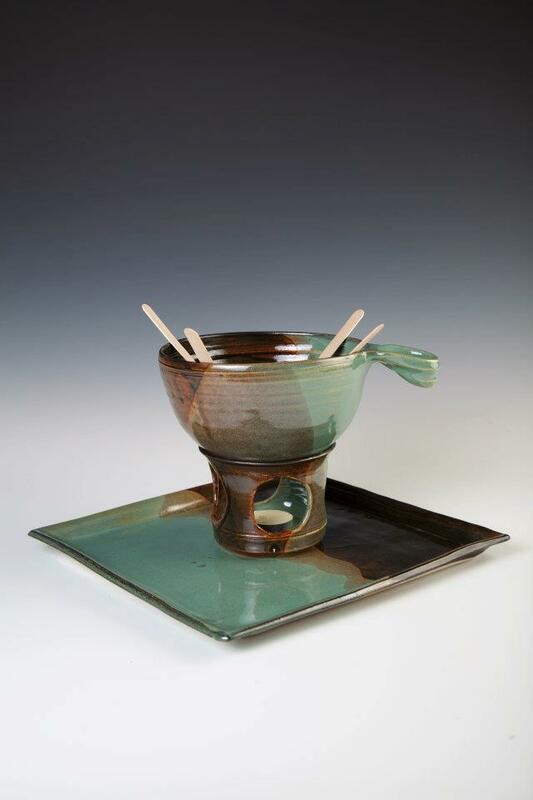 Epicurean is our line of gourmet pieces used for entertaining friends or your own family. 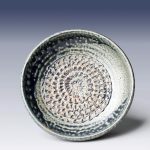 All come with recipes or directions and are available in all Standard Designs. 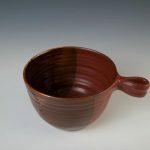 Current Epicurean items include: apple baker, bacon cooker (pictured to the left), batter bowl, french onion soup bowl, guacamole bowl, popcorn bowl, bread and oil bowl, brie baker, oval casserole, square casserole, chicken baker, cobbler crock, coffee filter, fondue set, french butter crock, garlic baker, garlic grater (pictured to the right), monkey bread baker, brownie mug, olive combo, olive oil dipping dish, lg slab pitcher, salt pig, stopperless salt shaker, and tajine. 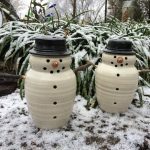 Throughout the year we have seasonal designs, including our Jug-o-Lanterns, nativities and our famous Texas “melted snowmen.” You can view more about our holiday pieces here. 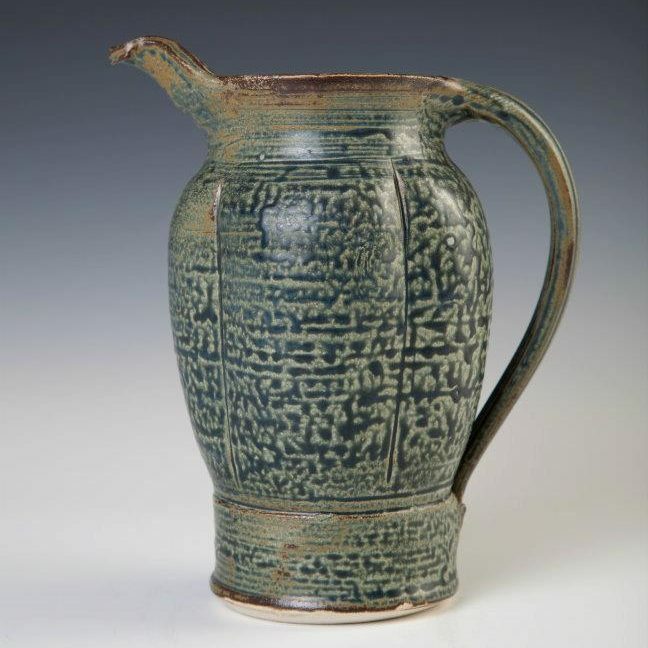 Fossilware is our collection of pressed-in images in clay. 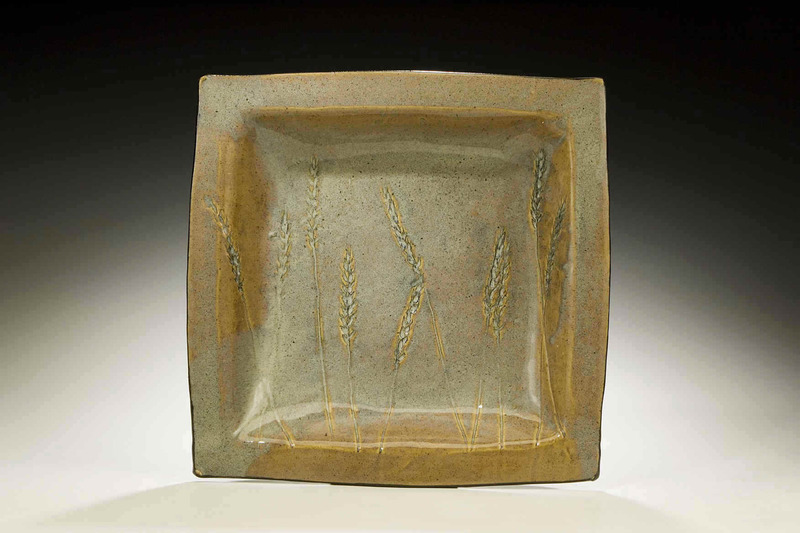 The Garden and Wheat designs come from real plants and herbs (some from our own garden). 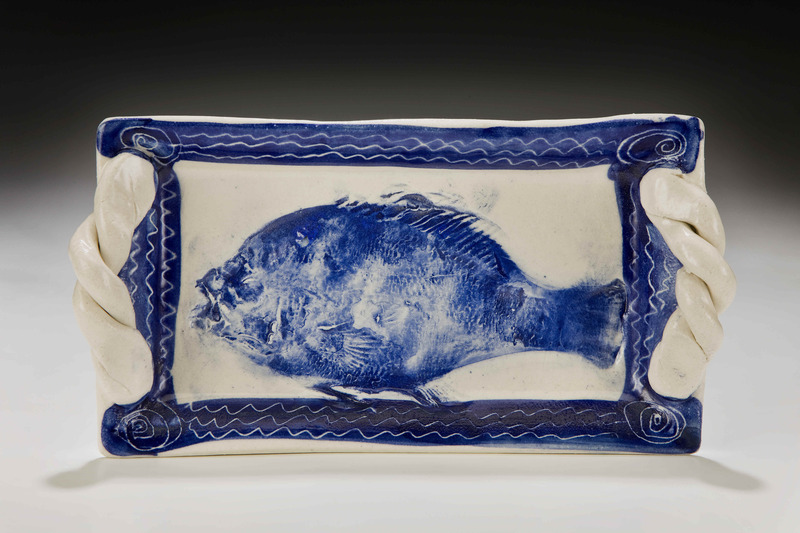 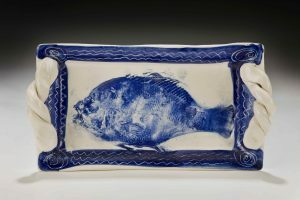 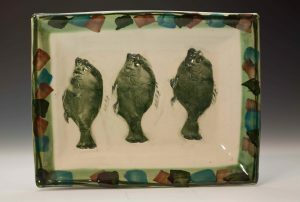 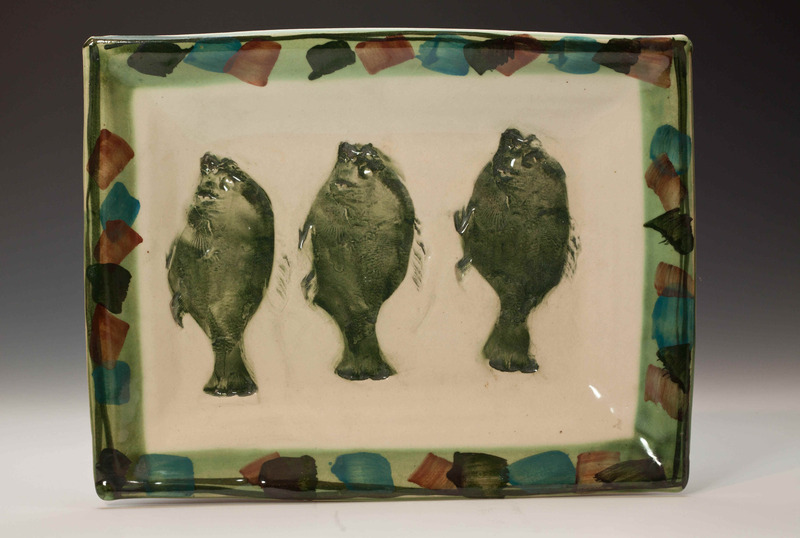 The Lake Fish, Ocean Fish, Island Fish (pictured to the right), Blue Fish, and Shrimp designs come from real “creatures” while the Olde World design originates from an antique springerie. 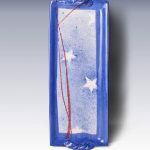 All designs are individually created and therefore are one of a kind. 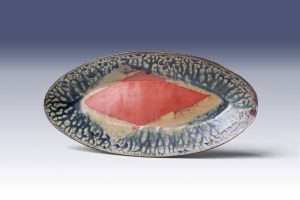 Due to the nature of the pressed in designs of the Fossilware collection, most items are of slab construction. 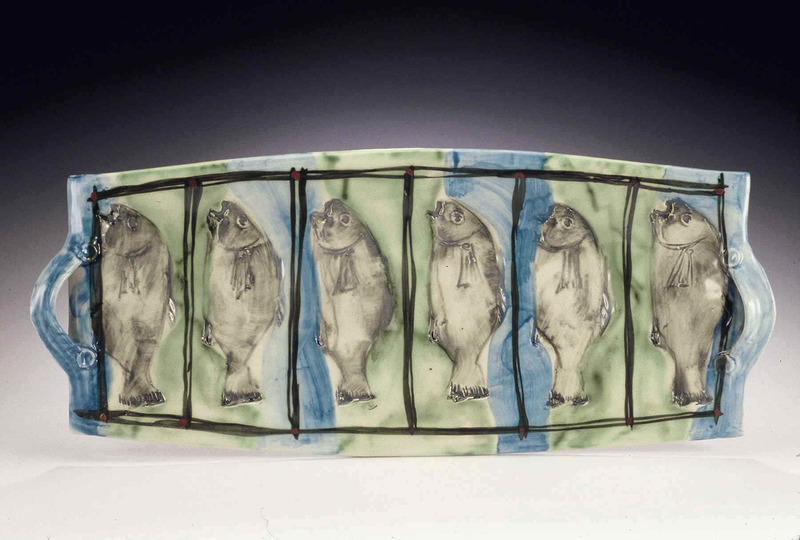 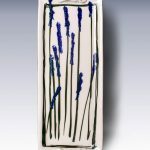 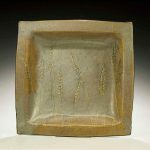 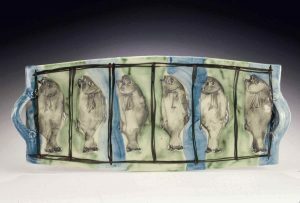 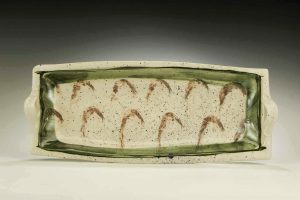 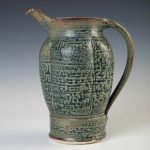 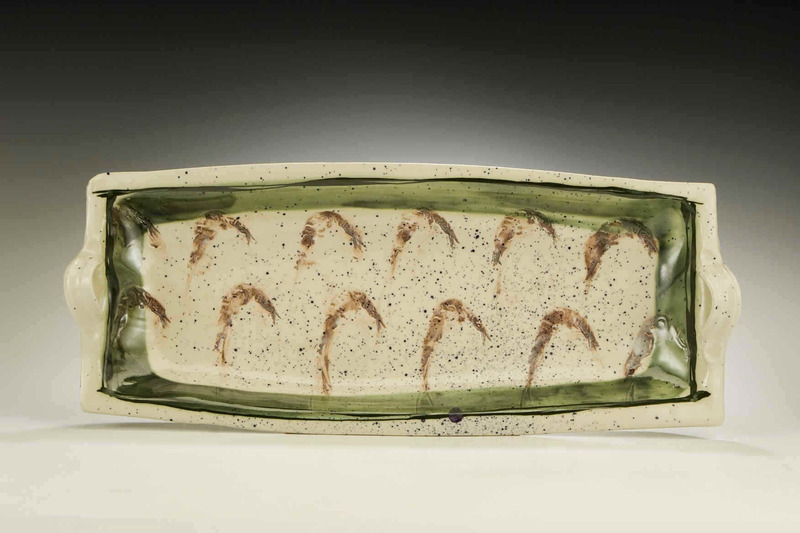 This style of pottery emphasizes the organic nature of each piece.